It's that time of year again! 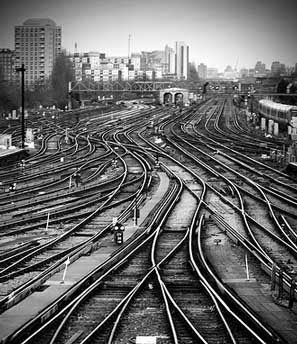 The Office of Rail Regulation (ORR) has released data showing how popular each and every rail station in the National Rail network is. For the past two years this has been our most popular entry - view these past entries by clicking on the links at the foot of this post. We've also added a header on the main blog sidebar. View the very latest data by clicking here and read on for our summary of the details. This year's data is believed to be the most accurate yet as a result of the manner in which entries and exits have been counted. 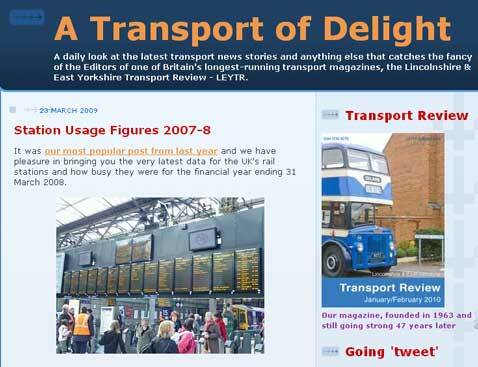 For the first time, 2008-9 saw figures estimated for the range of unlimited travel tickets offered by PTEs and TfL. Accordingly, some locations have seen a marked rise in usage. Euston appears to have lost around 2 million passengers over the past year, despite the introduction of Virgin Trains' 'Very High Frequency' timetable. 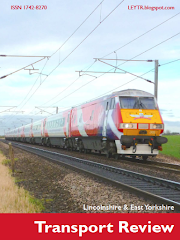 Perhaps glitches were present in the 2007-8 data or the knock-on effect of the WCML's upgrade and the replacement buses, cancellations and long delays took their toll on travellers? Lost from this year's Top 10 is East Croyden, which was ranked 9th last year and London Cannon Street (10th). 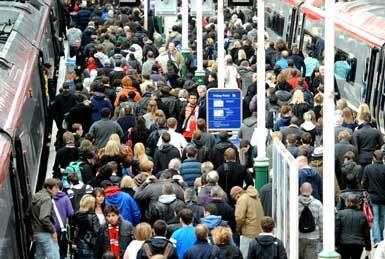 Newcomers are Glasgow Central and Birmingham New Street, the latter noted as having seen growth in excess of 28% over the past year, as a result of Centro's unlimited travel tickets being added. This year's data doesn't contain a column that states whether a station has seen growth or decline in usage from last year, primarily due to the change in methodology in accepting estimates of the unlimited rover-style tickets in urban areas. We assume the straightforward Growth/Decline column will return next year. Heathrow Express data has not been included and not all data for open-access operators such as Hull Trains and WSMR has been detailed. Four new stations this year, one of which being in the LEYTR area. Last year, the top two least busy stations could be effectively ignored as they were new; neither appear this time. Tees-Side Airport saw a decline from its 57 passengers during 2007-8 to just 44 during 2008-9. There are four further stations with just over two million passenger interchanges, so it's a close-run battle in this ranking.